The first known references to the area date back to as early as AD1250, when the hamlet was known as Claybrook. This name hasn’t been completely forgotten, as within the marina there is still a bungalow called Claybrook Cottage. Binfield Farm, situated along Mill Lane was also originally called Claybrook Farm. From around AD1250 until 1536, the whole area was owned by the monks of the nearby Quarr Abbey. The monks built a dam in the stream running down to the river, which formed two fishing lakes or lucks. One of these was known as Great Luck, which again has been immortalised by the fact that one of the houses within the marina is called Great Luck. As well as forming these lakes, the monks also built a tide mill which is likely to have been situated around where our Control Tower is today. The lake known as Great Luck was the earliest incarnation of what is now Island Harbour’s marina. When the monasteries were dissolved in 1536 by Henry VIII, the land was taken over by the Crown, but eventually passed into private ownership. 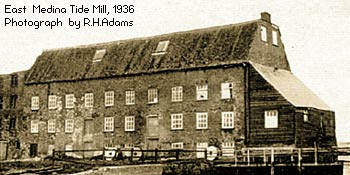 The next big development in Island Harbour’s history was the building of East Medina Mill, which was to become one of the great English tide mills. It was again situated along the riverbank where the Control Tower now sits. The new mill was built in 1790 by William Porter, a baker and pastry cook from nearby Newport. At this time, the River Medina was a mooring place for convict transport ships, before their long journey to Australia. It was reported at the time that their was an occasion when Mr Porter’s workmen were rowing down the river to work and were being taunted that they must be bound for Botany Bay. 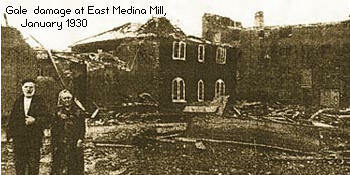 In this way, East Medina Mill became known as Botany Bay Mill. However, it may also have been because the mill supplied ship’s biscuits to these convict transport ships. Around the same time, William Porter also built West Medina Mill (known as Port Jackson for the same reason) and Yarmouth Mill, the latter of which still exists today. But in 1791, the banks who had previously supported Mr Porter withdrew their funding and he was declared bankrupt. The mill was put out to lease, awaiting sale. William Porter died a few years later in 1794, whilst still a young man. Unfortunately, leaving a pregnant wife and his young children destitute. During the reign of George III (1760-1820), foreign mercenary soldiers were enlisted into the British Army. At the end of the 1700s, German and Prussian soldiers along with their families were barracked at the huge East Medina Mill, as well as at other places on the island. Shortly after their arrival, a typhus epidemic swept through the barracks and 84 of the soldiers and their families died. They were subsequently buried in a mass grave at the nearby Whippingham Church. Queen Victoria’s daughter later visited the church and on being made aware of the mass grave, contacted the authorities in Germany to advise them of the tragedy. This led to a plaque being placed in the church on the south wall, in memory of the soldiers and their families. It is also said that there is an entry in the church parish register. The East Medina Mill became barracks again, in the early 1800s after the Napoleonic war, when French soldiers were held there as prisoners of war. After William Porter left, a William Roach took over the lease for the mill, eventually buying it outright. It then stayed in the Roach family for 140 years until it finally closed down in 1937, after the last occupant, John Roach retired. Before doing so, he had sold it to the Newport Council, who wanted to buy land along the river. After Roach had left the mill, the Council tried to rent it out again, but never succeeded. From that point on, it was largely used as a waste store and left to deteriorate. The final nail in the old mill’s coffin was brought about by a huge fire in 1945, which burnt down most of the mill. It was finally demolished in 1950. However, since 1946, some of the land around the mill had been leased by a firm called Southern Aircraft (Gatwick), although nothing really came of it. Then in the mid 1960s a group of local businessmen clubbed together to take over the lease from the aircraft company, building a marina, which subsequently opened on 14 May 1966 as The Medway Queen Marina. The builders of the marina ware cousins Alan and Colin Ridett, along with Robert Trapp. They also saved the paddle steamer Medway Queen from being scrapped and brought it to the marina to be used as the marina’s centrepiece and as its first clubhouse. Later on, they also brought two other paddle steamers to the marina, which were the Kingswear Castle and the Ryde. 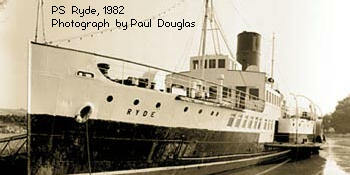 Arriving in 1970, the PS Ryde was officially renamed to the Ryde Queen and served as a nightclub until it closed down in 1989. Although no longer used, it is still at the marina today, after 46 years. Island Harbour has changed hands a number of times since those early days, with its current owners taking over on 2 January 2013.